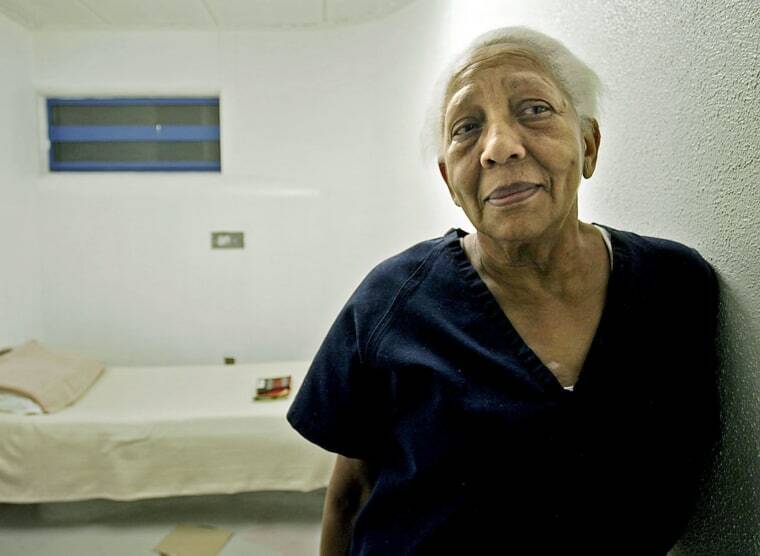 Doris Payne, the octogenarian jewel thief whose career as an international bling bandit spans six decades, avoided the big house and walked out with a stern warning during her latest court appearance. Payne, 87, pleaded guilty and avoided jail time after having been arrested in July and accused of shoplifting from a Walmart in Chamblee, Georgia, near Atlanta, while wearing an ankle monitoring bracelet from a previous arrest. Payne stole $86.22 worth of merchandise from Walmart's pharmacy, electronics and grocery departments, police said. "Don't come back, Ms. Payne," Chamblee Municipal Court Judge Angela Duncan told Payne on Monday. "I won't," Payne told Duncan after striking a plea deal that gave her credit for 58 days she served from July through September. After her Walmart bust, Payne was apprehended and quickly released on bond, but she was re-arrested soon after and jailed for violating probation related to an earlier theft conviction. She was released in September when a DeKalb County Superior Court judge rescinded her probation. Walmart spokesman Charles Crowson declined to comment about Payne's plea deal. "I think it was an appropriate resolution for this case," Payne's attorney, Marissa Goldberg, told NBC News. "We can now move forward so that Ms. Payne can move past this and go forward with her life in a positive way." Prior to her Walmart arrest, Payne was banned from all Atlanta-area malls after she admitted having stolen a $2,000 necklace from a store in a metro Atlanta mall last December. She was also sentenced to 120 days of house arrest and three years of probation. Payne was the subject of a 2013 Netflix documentary, "The Life and Crimes of Doris Payne," which detailed how she began her thieving career in her 20s by stealing gold and gems from the finest shops from Paris to Pittsburgh. "I didn't go over there to take anything," she told NBC News in March. "I was just killing time."